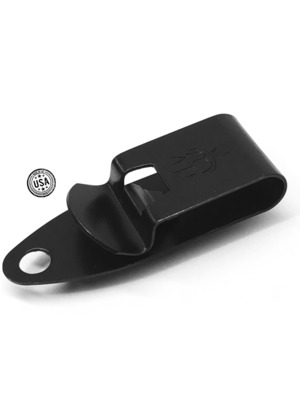 Whether your application is for a holster, sheath, magazine carrier, tourniquet or simply attached at the end of a lanyard, the premium line of High Level Retention HLR Discreet Gear Clips™ has been designed to increase the wearability and performance of supporting equipment, allowing you expand the way you integrate, align and position your loadout providing you more options and flexibility. 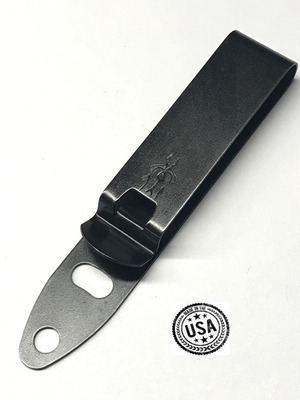 Whether the application calls for a standard over the belt clip or one of the application specific models that is designed to be worn hidden behind the belt, perched on top of a pocket, through a belt loop, attached behind a tie, on a key ring or secured in a purse or pack, Discreet Carry Concepts has a clip to enhance the performance of your equipment. 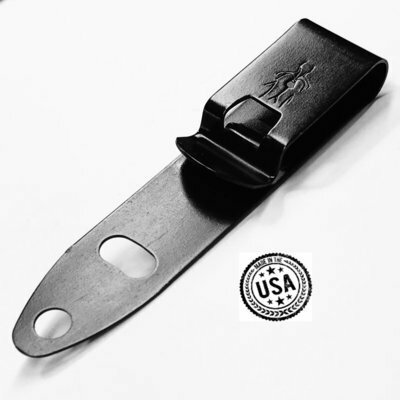 What makes the HLR Discreet Gear Clip™ line of products the best in the business? 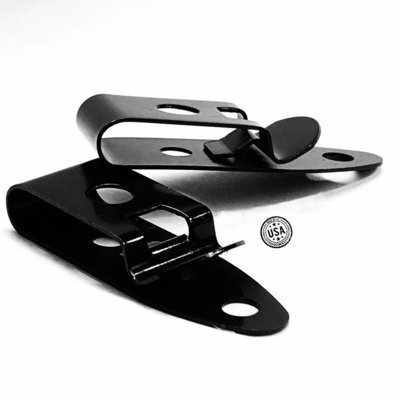 HLR Discreet Gear Clips™ have THE highest clamping force in the industry, even at the minimalist width of .624". 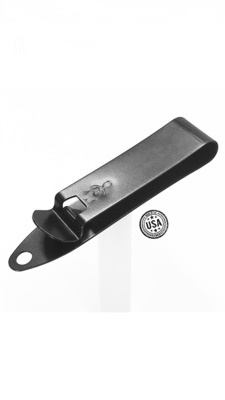 Made from our own 10XX steel alloy purpose built specifically for this application adding strength and ductility. 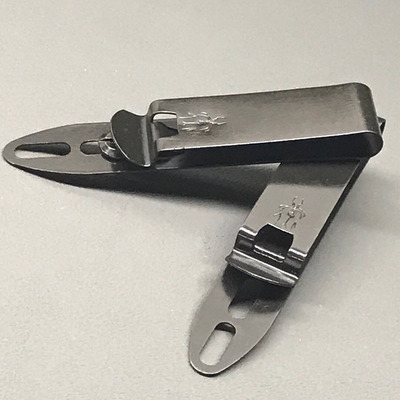 From cold rolling to deburring, all metal forming for the entire HLR Discreet Gear Clip™ line is done in-house giving our experienced team full control of all manufacturing processes. 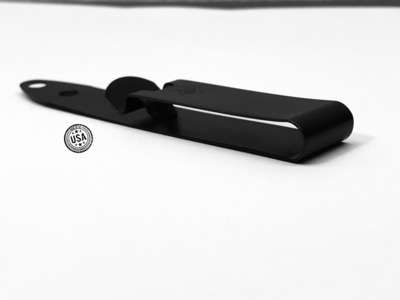 Provides rock solid retention, whether worn over a belt, behind a belt so it cannot be seen or as a standalone attached to clothing or other gear. 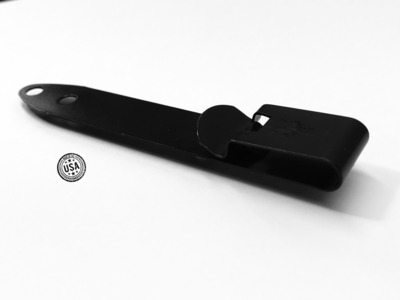 Our underhook design has a built in progressive strain relief. 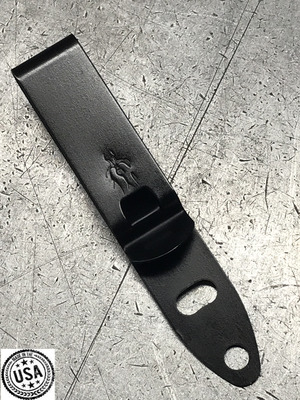 In the event it sees a large amount of force, this strain relief coupled with uniform hardness of the steel will gradually bend instead of hit its limit and break. 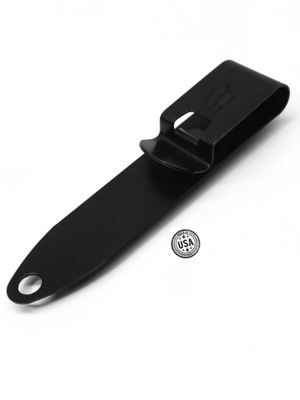 Streamlined design and geometry to remove weak points while increasing the overall strength of the clip. Smallest possible footprint to eliminate extra bulk and snag points. 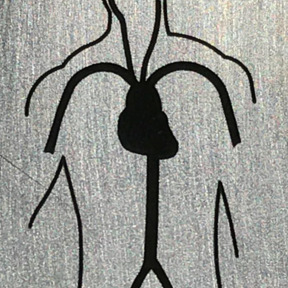 Varied sizes, geometries, and mounting patterns all readily available to the consumer to enhance the capability of existing supporting equipment. 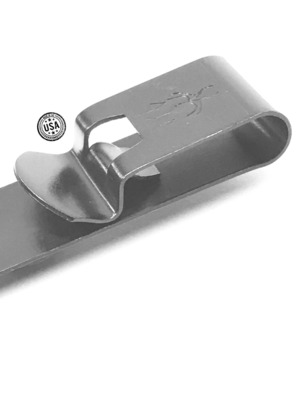 Options: upgrading from your existing plastic or metal clips is easy. 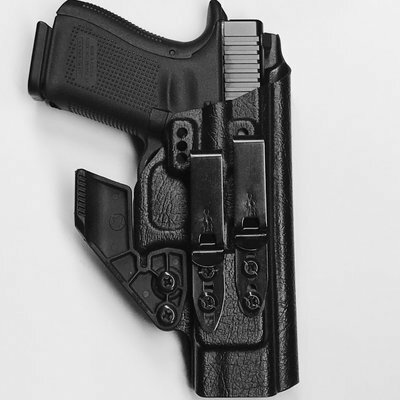 We have hole patterns and lengths to integrate with popular holsters as a direct replacement with more to come. Stays where you put it. 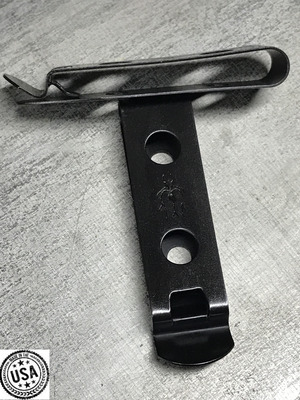 Whether it’s a force on force/combatives training environment or out on the street in a real world scenario, HLR Discreet Gear Clips™ provide high clamping force and rock solid retention. Peace of mind. 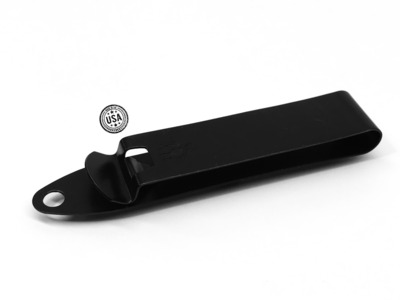 Whether running, jumping, climbing, swimming, rolling around on the ground or just doing yard work, HLR Clips™ keep your equipment in locked place during all of your day to day activities. Where you put it is where it stays. Extremely low profile. 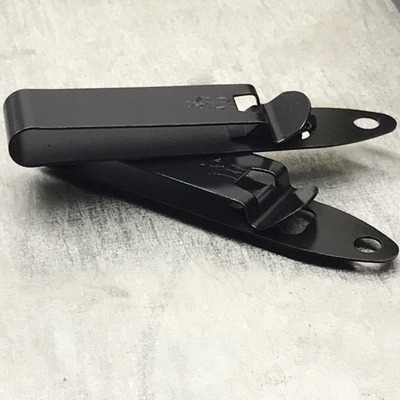 No extra bulk compared to polymer clips that rely on mass and thickness for strength. 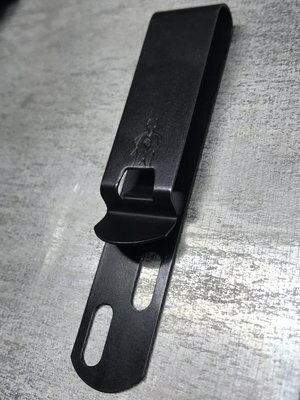 HLR Discreet Gear Clips™ sit flat against the body and keep the silhouette of what is under your cover garment unobtrusive and out of sight. 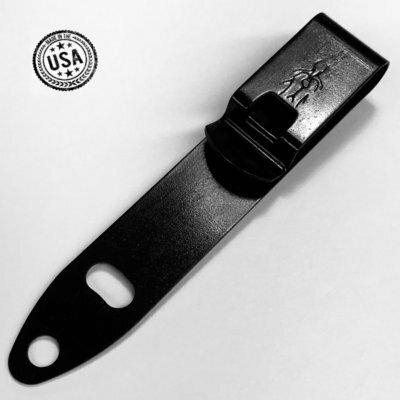 From the raw material to the old fashioned equipment they are made with, every aspect of our clips are 100% made by skilled hands in the USA by merging old world craftsmanship with cutting edge technology. Heavy clamping force versions: Our standard HLR Discreet Gear Clips™ are already in a category of their own with the highest clamping forces in the industry by a long shot, but by subjecting them to our proprietary bumping and ribbing process we can hand tune standard HLR Clips™ to achieve high performance clamping forces that are truly mind blowing. 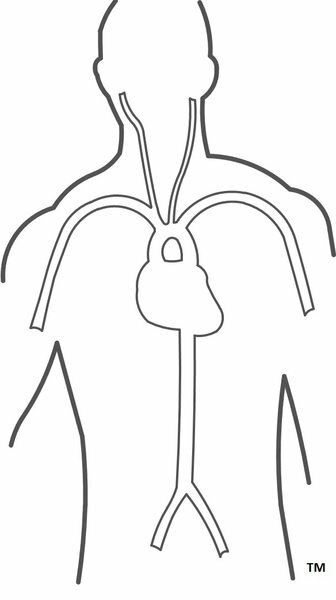 This option is available on all models that are 1.5" and larger.